The 5 Blade Shaving Surface technology has 5 PowerGlide Blades spaced closer together to help reduce pressure for extraordinary comfort. Gillette Fusion PowerGlide blades have a patented blade coating that reduces the cutting force for incredible glide and comfort. The Precision Trimmer Blade is built into the back of the cartridge - perfect for tricky places like sideburns, under the nose and around facial hair. Not for you? 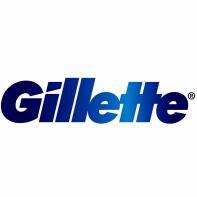 Click here to browse our complete collection of razor blades.